If you are looking to define HELOCs, you may already be familiar with the other term used to describe this line of credit: second mortgages. HELOC stands for home equity line of credit. This is a line of credit that is secured with collateral in the form of the equity in your home. "Equity" refers to the amount of money your home is worth, minus any amount of money you owe on the home. For example, a home that has a market value of $200,000 and a mortgage in the amount of $100,000 has equity in the amount of $100,000. 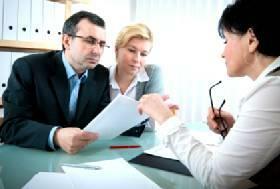 Many people look to define HELOCs after they have heard the term in regards to obtaining some cash using their homes. Indeed, many lenders advertising easy loans for homeowners are advertising HELOCs. The loan is secured by the equity in your home. This creates a second mortgage on the home, with your primary mortgage (the loan you used to purchase the home, or a refinanced version) being your first mortgage. Since a HELOC is a second mortgage, not making your payments puts you at risk for foreclosure, just like missing payments on your primary mortgage will. There are limits as to how many HELOCs you can obtain, and your primary mortgage holder has a say in whether you can obtain a subordinate mortgage or not. You cannot define HELOCs without understanding that a HELOC is a line of credit as opposed to a lump sum loan. This means that you are approved up to a certain amount based on the equity in your home and the amount you apply for. Upon approval, you have access to the full amount of your line of credit. Similarly to credit cards, as you use the line of credit, the amount of money you have available to you declines and as you make payments, the amount of money available to you increases. This revolving line of credit can be a good option for homeowners who want to have ready access to funds in case of emergency or to pay for home improvements and repairs on an ongoing basis. It is important to note that HELOCs can have an effect on your credit score. Use the HELOC wisely, and your credit score should not be impacted negatively. On the other hand, if you max out this line of credit or fall behind in payments, your credit score will likely decline. If you obtain a HELOC, but do not use the credit, the account will still appear on your credit history and may still affect your overall score and creditworthiness. In general, an unused HELOC will not negatively impact your credit score -indeed, in many cases it can raise your credit score- but if your credit report is already peppered with a large number of unused accounts with zero balances then some potential lenders may view you as a credit risk because you have the potential to quickly charge up substantial debt balances. HELOCs are offered through a variety of sources. Your current mortgage lender may offer HELOCs, but do not limit yourself to your current lender if you can find a better interest rate elsewhere. Take the time to compare the HELOC interest rates and terms among the various lenders. You may not qualify for a HELOC if you do not have adequate equity in your home. Many lenders prefer borrowers to have ample equity in their homes, as well as a good credit score, before any second mortgage will be approved.